It has become a popular meme to point out that when someone asks "Is this racist? ", the answer will inevitably be "yes." If you have to ask, then it is racist. I have no question that the scenario I am about to describe and the questions I'll pose about it will be viewed as racist and/or xenophobic by some. But in the interest of not avoiding important subjects just because they are controversial or uncomfortable, I continue to believe that this is the sort of thing we need to be able to discuss if we are ever going to arrive at viable solutions to complex problems. And so, I write this post even though I anticipate mostly negative reactions. For the scenario I am about to describe to make sense, we need to go back in time to the days before the Internet. There is no Amazon.com, and mail-order shopping is done through catalogs. You live in a town with a population of roughly 135,000 people. You have lived there for several years and have been happy there. Although you are only about an hour away from a larger city, one of the many things you like about your town is that there is a good-sized shopping mall there which prevents you from having to drive to the city as often as you would otherwise have to. This mall is also great for your local economy because it draws lots of shoppers from many smaller towns that surround yours. Due to changes in federal immigration laws and a high demand in your area for immigrant labor to fill agricultural jobs that U.S. citizens will not take, the immigrant population in your area increases dramatically. Most of the immigrants are from Mexico and other Central American counties. Many entered legally due to changes in the law, but some entered illegally. Almost all speak Spanish, and relatively few know much English. While there are exceptions, most seem more interested in bringing their culture with them rather than assimilating. Many immigrants settle in the area surrounding your town's shopping mall. In a relatively short amount of time, you notice three disturbing changes. First, the crime rate in this area increases dramatically, driving down property values and leading many of the locals to avoid the area. According to the police, the spike in crime is related to drugs and gangs, both of which they attribute to a small number of the immigrants. You now see evidence of tagging everywhere, and many of the younger male immigrants dress in a manner you associate with Latin gangs. Second, the number of visitors to your town's mall drops, leading to the exit of several of the anchor stores. Some remain vacant, and others are replaced by lower-tier stores. Your mall rapidly transitions from something the locals were proud of to a wasteland where few bother to come. As more stores leave, the building does not even look like it is being kept up. Third, many of the neighborhoods around this mall change in similar ways. As the immigrants move in, the locals move out. Things look increasingly run-down, even dangerous. It is important to pause here and note that nobody is claiming that most of the immigrants are criminals. That is not the case. The criminal element here is small, but it is present. What matters more is that the area is now perceived as unsafe due to a measurable increase in the crime rate and the changing appearance. The less safe it is perceived as being, the more people decide to stay away. Investment in the area drops, and the problem worsens. Is it even mildly surprising that you and the other locals might view this state of affairs as undesirable? It seems like regarding these changes as undesirable is entirely reasonable. After all, none of this is good for your town. Does it make you racist and/or xenophobic if you do not welcome all of these changes? I suspect some will answer in the affirmative; however, I think that most of us would be disappointed to see the area in which we live transform in this way regardless of whether it had anything to do with an influx of immigrants. And if it happened due to an influx of immigrants, I am not sure how that would make it less bad. As you probably guessed, the scenario I described here was not hypothetical. I saw this happen to a town not too far from where I lived in the 1980s. I remember many people complaining about it, and not all of them were White. From what I remember, the Mexican-Americans who had been living in the area long before the immigrants arrived were not any happier about it than anyone else. As for my Mexican-American friends, they had no more interest in spending time in this area than I did. 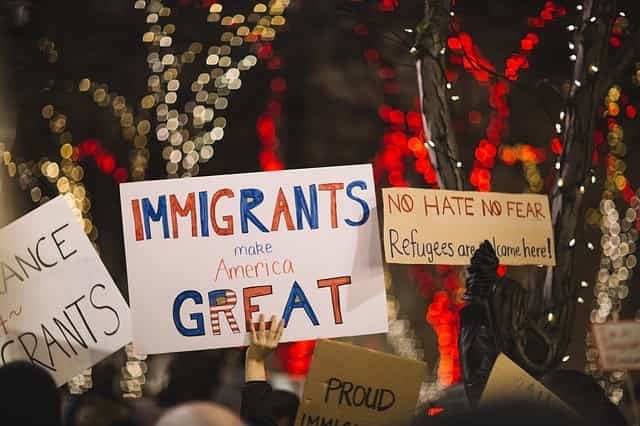 There are many good things about immigration, and it is clear that the United States would not be the country it is today without our immigrants. I think we can remember that and celebrate it while acknowledging that not everything about immigration is positive. It sometimes has some undesirable effects, and I'm not sure we do ourselves any favors by refusing to admit it. If we want to understand why some people are so opposed to immigration, especially illegal immigration, I think it might be helpful to make an effort to understand why. Racism and xenophobia are certainly relevant, but I don't think they are the whole story. This is a debate, like many, where we need more reason.